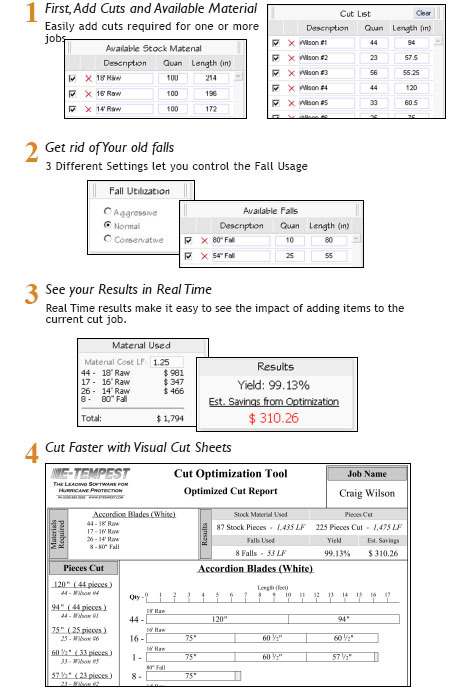 Save money by Cutting Faster and Reducing your Scrap! Multi-Pass Optimization scores each of the literally thousands of possible combinations of cuts and material based on yield and fall utilization. After analyzing the results, the program selects the best possible cutting combinations.